I hate to start off the year with a negative review but…I am. 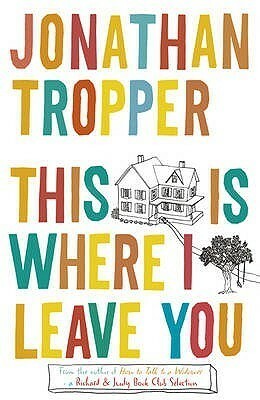 Can’t help it, I finished this book just last night and was so irritated I knew I had to write a review today. This is a book that has had good word of mouth and I’ve heard quite a few people talking about it and saying it was a good thriller. While I mostly read romance I also love thrillers, young adult, new adult, women’s lit, pretty much every genre there is. Which is great because generally if it’s a good book I will read it and enjoy it. I went into this book not knowing what it was about. Just that it was a thriller and I’d heard some comparisons to Gone Girl so I thought I’d give it a try. My library luckily had a copy so I just got on the hold list – I LOVE my library FYI. It’s where I get a huge portion of my books that I read. This story is about the kidnapping of Mia Dennett, the daughter of a prominent judge. There are 3 alternating point of view – Eve, Mia’s mother; Gabe, the detective in charge of Mia’s case; and Colin, the kidnapper. The POV switches didn’t bother me at all and actually made the story more interesting to me. I really liked the addition of Colin’s points of view as I think that it adds a lot to the story and it also made it stand out from other dual POV books. 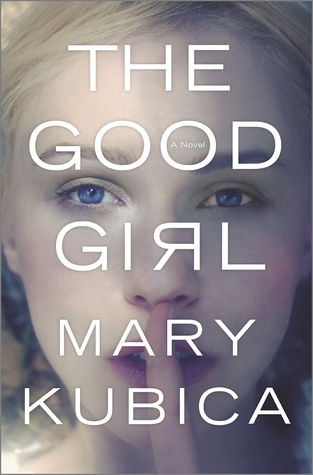 The basic plot of The Good Girl was decent and that kept me reading the full book. However my main complaint was that the overall pacing of the book was S-L-O-W. The book took place over a few months and I felt every one of those months. Gabe’s point of view was particularly boring to me and I was left wondering why his was even included. It seemed that we could have gotten all the information if it had just been included in Eve’s perspective. Colin’s story was the most interesting because that is where we got the gist of the kidnapping and I realized that I was pretty much skimming over the other perspectives to get to Gabe’s. Overall, I did finish the book and thought the ending was unexpected. But it felt way, way too long to get there. Some books get lots of hype. I try to avoid those books usually but I’m weak, I can’t help it! Especially when those books are hyped by a lot of people I follow. Mud Vein is a book that got a lot of hype about how great the book was, so I decided I had to check it out. The book seemed to me to be separated into 3 sections – the first of which is that novelist Senna Richards wakes up, locked in a house, in the middle of nowhere. With her is an old friend, Isaac. They have no idea where they are or why they are there. The house is well stocked with food and clothing in their correct sizes but that’s about it. They linger there trying to figure out what’s going on but get nowhere and soon weeks and months pass by. There are many parts of this section that is kind of a mind f*ck. The second section is a flashback of how Senna and Isaac know each other. Technically they aren’t really friends – they used to be something but not friends per se. Senna was raped a few years before the kidnapping took place and Isaac was the one who came along right after it took place and brought her to the hospital. Senna is also diagnosed with breast cancer almost immediately after and Isaac happens to be an oncological surgeon. She asks him to be her surgeon and he ends up becoming more and pretty much is her life line that entire year or so even though she tries to push him away the entire time. The third section attempts to bring the first two sections together. Which seemed to be a pretty insurmountable task to me because the first two sections had such a huge disconnect to each other. I really enjoy a good psychological thriller and that’s what I was thinking I was getting going into this and even still when I was in the midst of the first section. But I found nothing all that thrilling about the book. I was vaguely wondering why Senna and Isaac were kidnapped but that was completely squashed by section 2. I thought that the second section would give us character development and insight into the two victims of this crime and their actions while in this bizarre house. But if anything, all the second section did was make me dislike the characters more and more and not care what happened to them. The clincher of the book is the bizarre ending. I do not understand what that mess of an ending was about. It didn’t make sense to me and I felt like it was jumbled up – as if there were pieces from 3 different books. Maybe I fell for all of the hype that this book got, I’m guessing that’s partly true. But overall I was just really not a fan of this one. I found this book on one of those lists of “Books you need to Read before the Film”. It looked vaguely interesting so I got on the holds list at the library and waited. The plot seemed semi-interesting, although complicated – Judd Foxman’s father just died and he is heading home to sit shiva with his 2 brothers and sister. Meanwhile, he’s also dealing with his ex-wife who cheated on him with his boss and just announced that she’s pregnant. Unsurprisingly, as the 7 days of shiva passes, the drama gets higher and higher between all of the players. The siblings are all coupled up and bring their own issues, both past and current. Judd in particular is trying to deal with his life pretty much falling apart around him. I just didn’t like most of this book. Almost every character in it seemed to fit into a nice little Hollywood box – as if the author was writing it specifically to get it optioned for a film. One of Judd’s sisters-in-law is so desperate to get pregnant that she literally decided to jump Judd at one point because his sperm is “interchangeable” with his brothers. He has a kooky mother who is very in touch with emotions, a stressed out sister whose husband is too into his job – they all fit into nice little boxes. Everyone seems to reveal their true emotions at just the right moment in a nice and neat (yet kind of messy) way. There was also extensive descriptions that were all looking down the author’s nose at people. How dare people be old and have wrinkles, or be overweight? I thought at first this was just me grabbing at certain things but no this was repetitive and unnecessary for the story. This is one book that I should have skipped and went straight to the movie. Justin Bateman, Tina Fey and Dax Shephard – all of whom I love star in it so I’ll give it a chance and see if they can inject some heart into it because the book was severely lacking in that area.